CloudHesive, an AWS Managed Services Partner, opened its doors this week in Buenos Aires, Argentina. CloudHesive brings the next generation of cloud, DevOps, application development and security technologies to the Latin America market. CloudHesive, an Amazon Web Services Advanced Consulting and Managed Services Partner announced today that they have opened offices in Buenos Aires, Argentina. CloudHesive is headquartered in Fort Lauderdale, Florida but manage workloads for customers globally including in countries such as Australia, the United Kingdom, South Africa and Argentina. CloudHesive’s core services include assisting customer’s build their cloud strategy, developing governance processes, implementing DevOps automation and code pipelines, automating security controls, and managing their customer environments. CloudHesive is one of largest AWS partners in the South American region and the only AWS audited Managed Services Partner with a local presence in Buenos Aires, Argentina. Buenos Aires is home to technology giants such as Google, Microsoft and IBM. “We are excited about this opportunity to help drive the next generation of innovation into the leading technology companies in Latin America. Our executive team chose Buenos Aires for our Latin America presence because we see a tremendous amount of potential in this region as well as the eagerness from the technical community in Buenos Aires to be leaders in LATAM and drive innovation,” stated Leo Bracco, Executive Director of CloudHesive LATAM. In today’s fast-paced and competitive business environments, international technology companies such as CloudHesive play an important role in helping companies leverage innovative technologies without straining their budgets, over taxing their internal resources or losing focus on their core business. CloudHesive will infuse a new set of skills into the Latin America market which include DevOps, security and cloud expertise on Amazon Web Services, Microsoft and IBM cloud solutions. By partnering with some of the most notable cloud infrastructure companies, CloudHesive wraps traditional cloud offerings (public, private or hybrid) with cloud-centric security controls, such as data at rest encryption, Docker container encryption, endpoint security, intrusion detection, log management, vulnerability management, DevOps as a Service and continuous monitoring throughout the environment lifecycle. 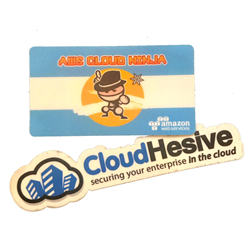 CloudHesive is an Amazon Web Services (AWS) Advanced Consulting Partner and Managed Services Partner headquartered in Miami / Fort Lauderdale, Florida. They are a cloud solutions consulting, DevOps, managed security, and cloud managed services provider with a focus on security, reliability, availability, and scalability. CloudHesive services help companies reduce their operating costs and increase productivity while improving their cloud security posture by migrating and securing mission-critical workloads on to Amazon Web Service (AWS) and other cloud partners. CloudHesive partners with the leading cloud providers and security companies to build highly secured, scalable and robust cloud solutions. They architect and manage environments to meet stringent uptime SLAs of up to 99.99%. CloudHesive also offers proprietary tools such as CloudPoxee to help their customers decrease and manage their cloud costs. For more information about CloudHesive, please visit http://www.CloudHesive.com.